William Byron, 5th Baron, succeeded to the title upon the death of his father on August 8, 1736. A Lieutenant in the Royal Navy from 1738, he was constituted Master of the Royal Staghounds from December 5, 1763 until 1765. 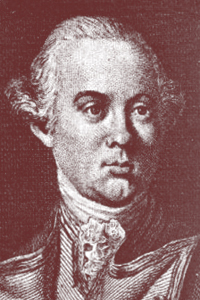 Lord William was elected Grand Master of the Premier Grand Lodge of Freemasons from April 30, 1747 to March 20, 1752 when he placed Lord Carysfort as his successor and "all expressed the greatest Joy at the happy Occasion of their Meeting". In 1765 Lord Byron was tried for the dueling death of William Chaworth. Debrett called it a duel while the Encyclopedia Britannica described it as a drunken brawl. He was found guilty of manslaughter, "but claiming the benefit of the statute of Edward VI, he was discharged by simply paying the fee" on April 16 1765. Although known later in life as the "wicked Lord Byron", he appears to have been a popular Grand Master, his frequent absences from the country notwithstanding. An anonymous publication entitled The Complete Free-mason : or Multa Paucis for Lovers of Secrets (1763/64) attempted to blame Lord Byron for what was then thought to be a schism between the Ancient and Premier Grand Lodges. It is now clear that this conflict was not a schism and that the discontent had its beginnings some years before Lord Byron was installed as Grand Master. 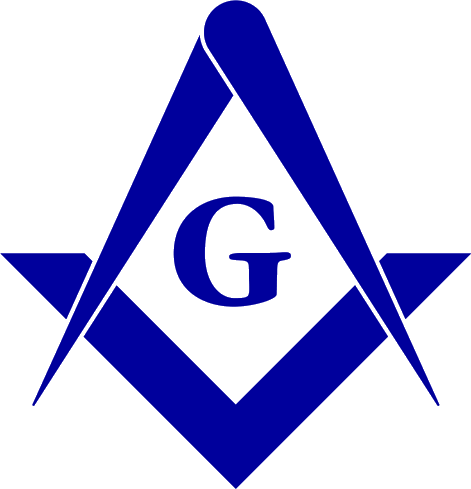 According to Preston: "During the five years that his lordship presided over the fraternity, no diligence was spared, on his part, to preserve the privileges of Masonry, to redress grievances, and to relieve distress. When business required his attendence in the country, Fotherley Baker, Esq., the Deputy Grand Master, and Secretary Revis were particularly attentive to the Society in his absence." The poet, George Gordon, 6th Baron, Byron of Rochdale (1788-1824) was Williams great-nephew. There is circumstantial evidence to suggest that he was a member of an unidentified Italian lodge under the Grand Orient of France. Source: Ars Quatuor Coronatorum, "Lord Byron, G.M." H.J. Whymper. vol. vi. (1893) pp. 17-20. Also see William Preston, Illustrations of Masonry, 2nd ed. ; Grand Lodge 1752 minutes reprinted in Gould, History of Freemasonry, p. 396; Albert F. Calvert, The Grand Lodge of England 1717-1917. being an account of 200 years of English Freemasonry . Heny Jenkins Limited Aerundel Place, Haymarkwet, S.W.1. MCMXVII. p. 118; Grand Lodge 1717-1967. Printed for the United Grand Lodge of England at the University Press, Oxford, 1967 Foreward: A. S. Frerep. p. 271.